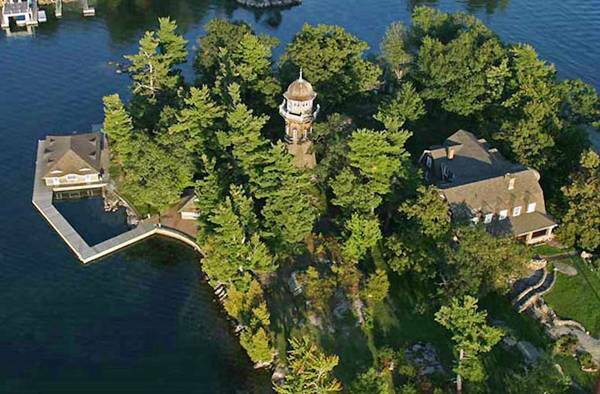 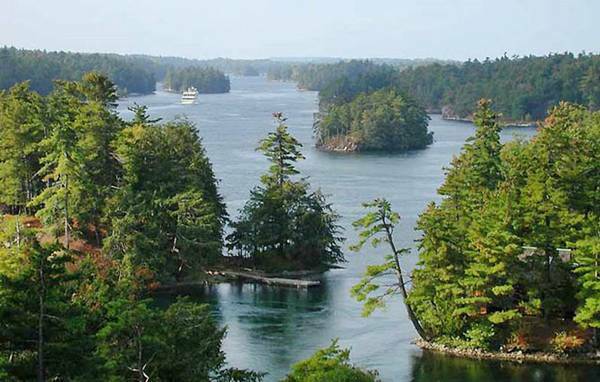 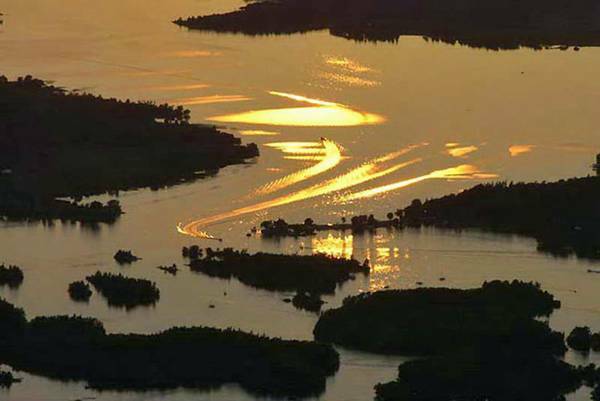 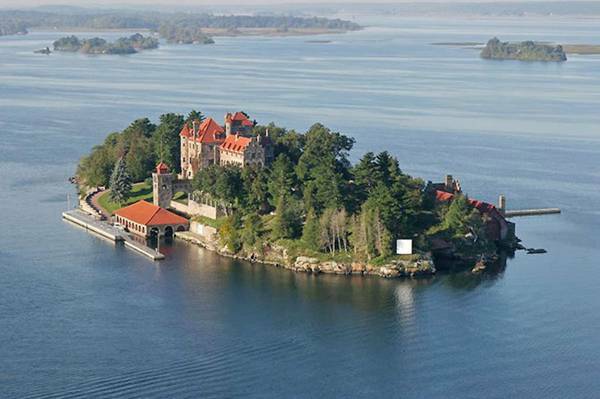 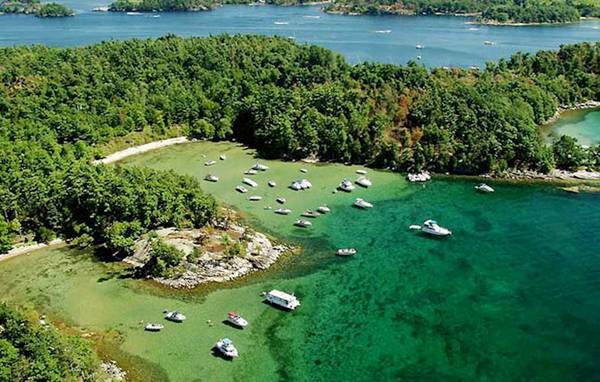 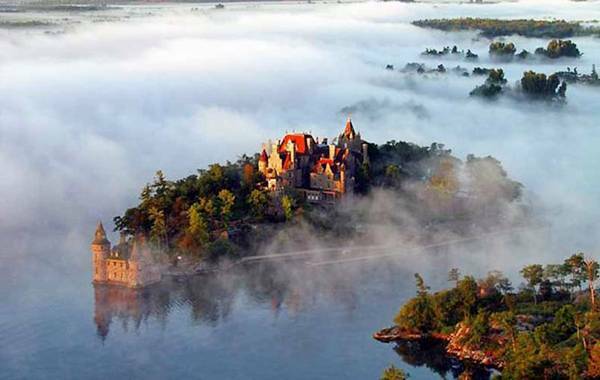 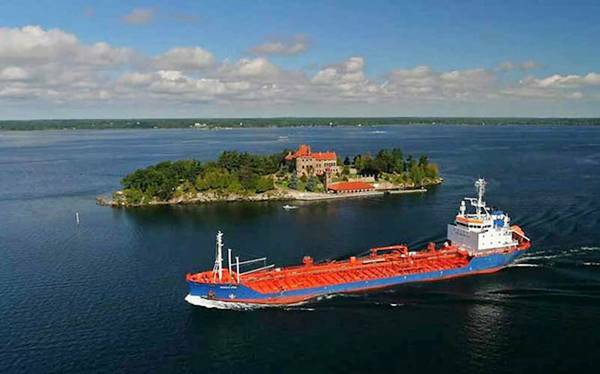 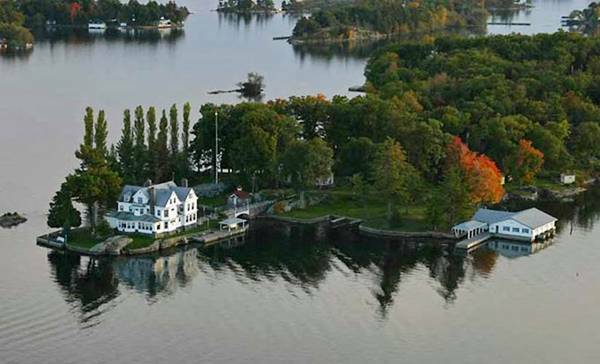 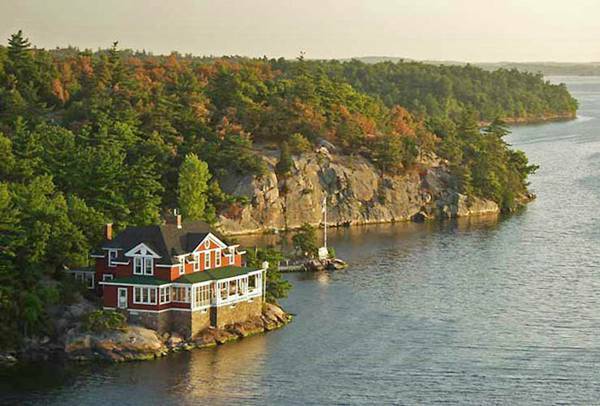 The Thousand Islands is the name of an archipelago of islands that straddle the Canada-U.S. border in the Saint Lawrence River as it emerges from the northeast corner of Lake Ontario. 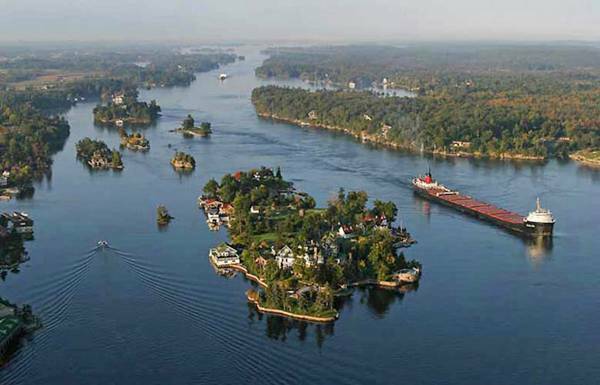 They stretch for about 50 miles (80 km) downstream from Kingston, Ontario. 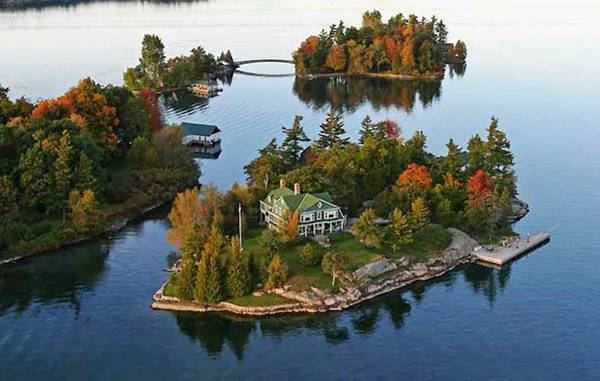 The Canadian islands are in the province of Ontario, the U.S. islands in the state of New York. 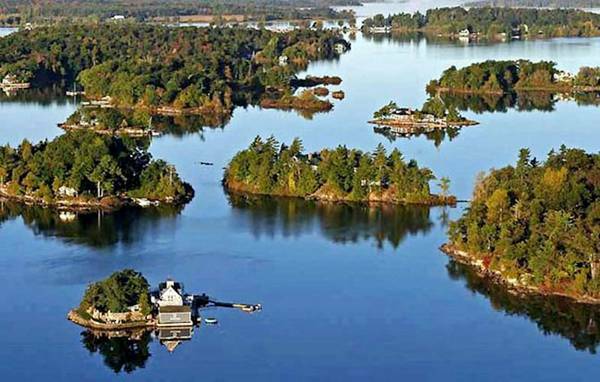 The islands, which number 1,864 in all, range in size from over 40 square miles (100 km2) to smaller islands occupied by a single residence, to even smaller uninhabited outcroppings of rocks that are home to migratory waterfowl. 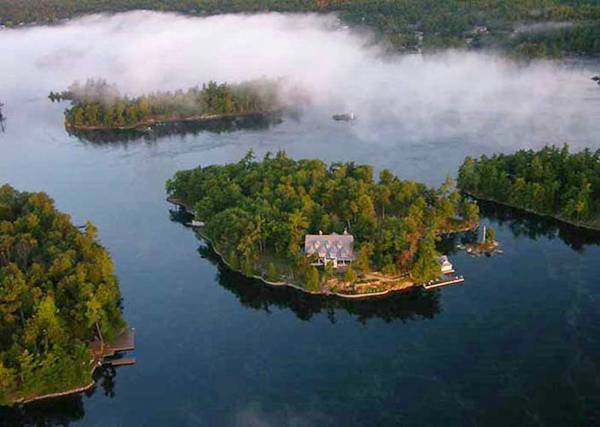 The number of islands was determined using the criteria that any island must be above water level all year round, have an area greater than 1 square foot (0.093 m2), and support at least one living tree.